I know I'm posting a lot for Silhouette Challenges. With a Holiday Home Decor as the challenge how could I not? I love doing anything 3D and it is approaching the holidays. I also wanted to make some snowmen for a Facebook Challenge. 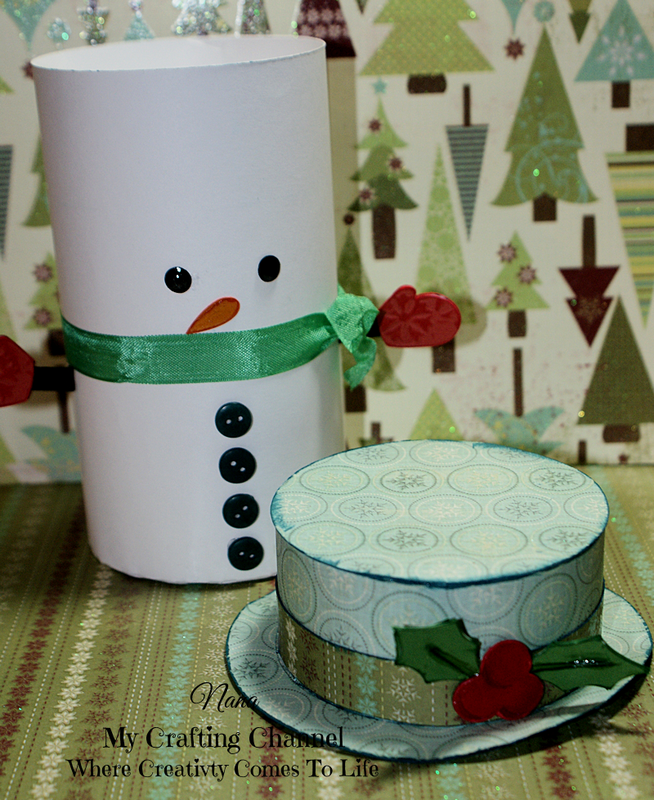 So this morning I have you this adorable Cylinder Snowman. I decided to use the same green tones for the hat and scarf as Mary did on hers. I just loved the look it gave instead of a black hat and traditional red scarf. I embossed his mittens, I think the flowers actually look like snowflakes. I love how he turned out. What say you? Post away....this is awesome! Cute as can be! WOW what a super cute snowman-- love it to bits! What a cutie! I love snowmen and this little guy is just adorable. I love the greens you used and agree that it's a nice change from the traditional colors used! A Fab & Fun home decor!!!! He is a Cutie!!! 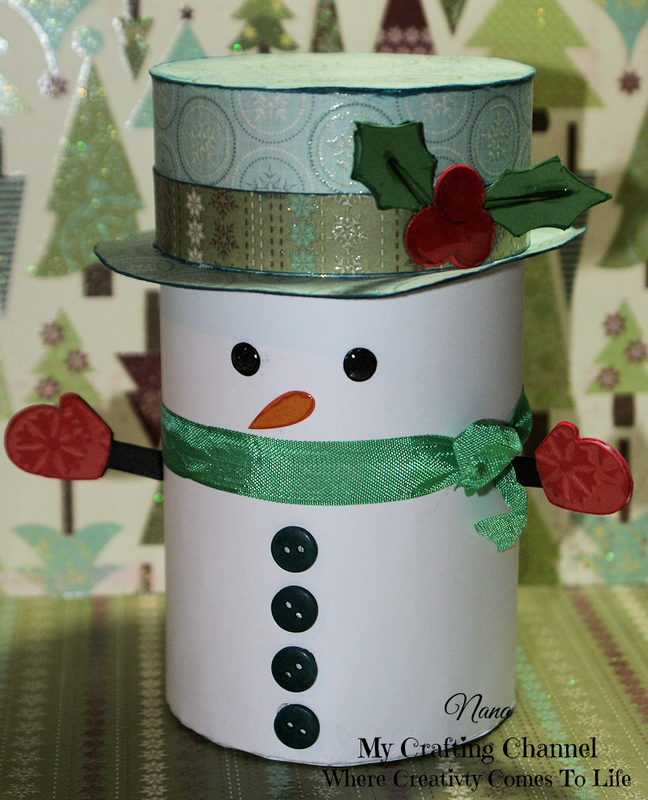 Super adorable snowman - love love that it`s a box too! TFS and have a great week. This is one of the cutest little snowmen I've seen! Darling! OMG, this is so amazing!! Love the papers you used. This is super cute!!! Love this snowman!!! Have a great day. That is too cute for words!! thanks for playing along over at HIMCR!